This entry was posted on April 1, 2016 by Alpine. This fully solar-powered speaker is perfect for any outdoor area. While the speaker is portable and light-weight, it is also weather-resistant, designed to withstand extreme climate change. 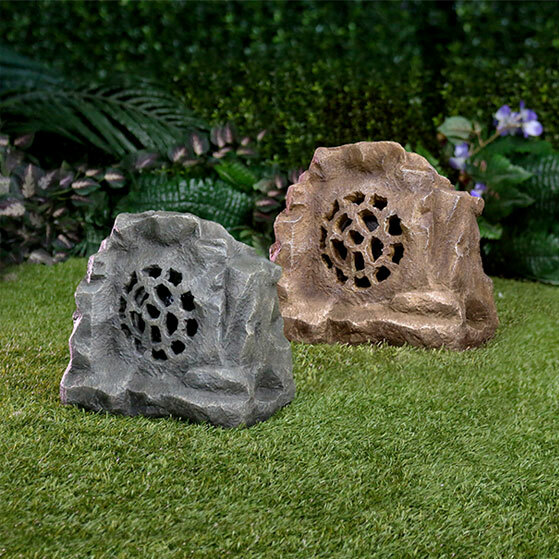 The rock design (available in brown or gray) allows it to blend seamlessly into your landscape and its Bluetooth 4.0 compatibility with 50 ft. range allows for easy connectivity with no need for wires. Compatible with Apple, Android, and Windows products and other Bluetooth capable devices.